Jack lives in Andover MA with his wife Jan, has three ‘fabulous’ daughters and sons-in-law and proud grandparents of twin girls. Jack’s is the principal of a small business focused on Information Technology (IT) investment research coming from industry as a career Sales VP. Diagnosed in 2007 with an active Waldenstrom’s Macroglobulinemia a rare lymphoplasmacytic lymphoma for which there is no cure yet, Jack has participated in four Clinical Trials at Dana Farber Cancer Institute, (DFCI) the most recent, a novel targeting biologic agent has worked nicely. He is also treated at Brigham & Women’s Hospital (BWH). Jack has first hand experience with many aspects of Clinical Trials and has had a front row seat traveling the road to Personalized Medicine which is still under construction. Jack encourages all patients to explore what treatment options might be available in Clinical Trials as we begin to benefit from the promise of personalized medicine, genomics-based therapy giving patients the right medication in the right dose at the right time. He’s a member of the American Association of Cancer Research (AACR) completed this year’s Scientist-Survivor Program. He is also active with the American Society of Clinical Oncology (ASCO) and completed the Research Advocacy Network Focus on Research Scholars in conjunction with the ASCO 2013 Conference. 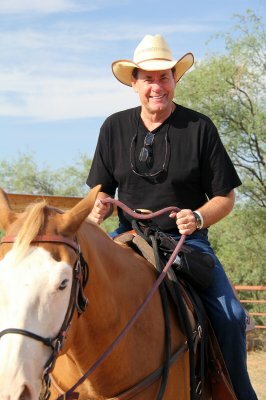 As an e-Patient with a busy 2013 calendar, you may find Jack speaking at advocacy, healthcare, medical education and similar events around the United States. Served four years active duty in the United States Navy, expertise in Information Technology, Radar Systems, Fire Control Systems and Navy Tactical Data Systems. 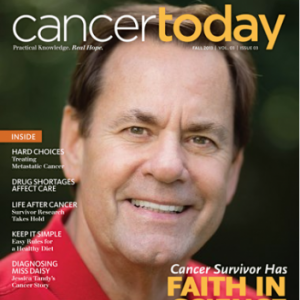 Completed Patient/Research Advocate 2013 Scientist-Survivor Program in connection with American Association for Cancer Research Patient Advocacy programs. Completed Research Advocacy Network Institute Research Advocate program in conjunction with American Association of Clinical Oncology patient advocacy programs. The Institute helps equip advocates with the tools and resources they need to comprehend research studies and communicate effectively with patients, researchers and one another. The Research Advocacy Network’s overall goal is to channel advocates’ passion into effective interactions with the research community. The conference brings together physicians, scientists, health professionals and health care leaders working in a variety of disciplines to discuss the latest findings in their fields, to foster collaborative interdisciplinary interactions and partnerships and to stimulate the development of new research in cancer health disparities to address all levels of basic, population, clinical and transdisciplinary research related to cancer, a patient advocacy education program of AACR. Completed a comprehensive series of on line educational courses centered on advocacy for the Advancement of Cancer Clinical Trials. ENACCT's mission is to improve access to cancer clinical trials through education and collaboration with communities, health care providers, and researchers. Jack prepares a custom, well-researched presentation for your event that is meaningful and relevant for your audience. As a six year survivor of a rare incurable blood cancer, Jack shares is unique patient perspective with real world experience participating in five clinical trials and variety of therapies, research and care. Jack is a career research analyst in Information Technology making the transition to an effective research advocate for cancer research and care. Fun, helpful, hopeful!